The comments came a day after Russia announced that it was sending a team of experts to South Korea to assess the evidence about North Korea's involvement in the sinking of the warship, which left 46 sailors dead. (AFP file) South Korean navy personnel stand guard next to the wreckage of the salvaged naval vessel Cheonan, which sank on March 26. In a separate report, a senior source in Russia's navy suggested that Moscow was unhappy about being excluded from the lengthy multinational investigation into the sinking of the Cheonan, a 1,200-tonne corvette. 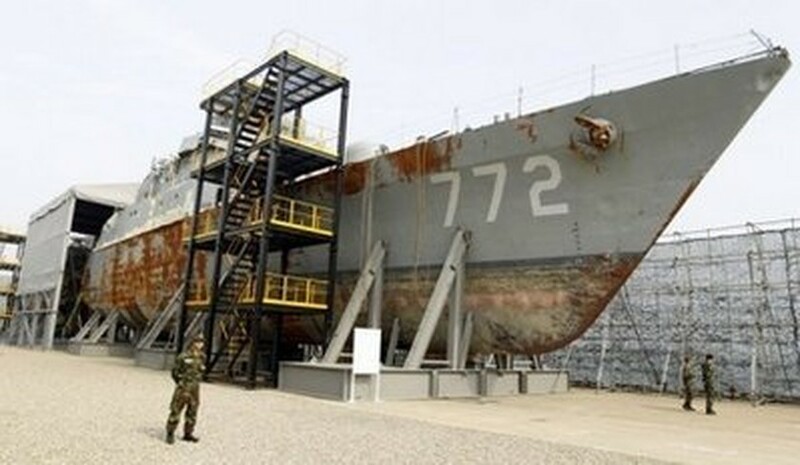 The investigation -- which included experts from South Korea, the United States, Australia, Britain and Sweden -- concluded last week that there was overwhelming evidence that the ship had been sunk by a North Korean torpedo. "With the participation of Russian specialists, the results of the investigation into the incident might have been more complete and objective," the Russian navy source told Interfax. South Korea has cut trade ties with North Korea and is seeking diplomatic support for new United Nations sanctions against Pyongyang over the incident, seen as the worst provocation since the end of the 1950-53 Korean War. Pyongyang has denied any role in the sinking of the Cheonan, which went down in waters disputed by North and South Korea on March 26. As a permanent member of the UN Security Council, Russia has the power to veto any new sanctions against North Korea over the deadly incident. Russia, which has a short land border with North Korea, is set to hold major naval exercises in June in the Sea of Japan, close to the Korean Peninsula, which were planned before the current tensions broke out.